WASHINGTON (CNS) — Pope Francis has named three new auxiliary bishops for the Chicago archdiocese, Fathers Ronald A. Hicks, Robert G. Casey and Mark Bartosic, and he has accepted the resignations of Auxiliary Bishops George J. Rassas and Francis J. Kane of Chicago. Bishops Rassas and Kane are 75, the age at which canon law requires bishops to submit their resignation to the pope. Bishop-designate Hicks serves as vicar general of the Chicago Archdiocese. Bishop-designate Casey is currently pastor of St. Bede the Venerable Church in Chicago. 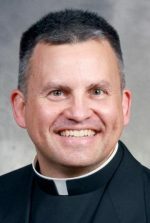 Bishop-designate Bartosic is currently pastor of Assumption of the Blessed Virgin Mary Church in Chicago and director/chaplain of Kolbe House near Cook County Jail. “We are blessed to have had the service of Bishops Rassas and Kane for so many years. They have made significant contributions both as priests and as episcopal vicars, and I express my gratitude for their ministry,” said Cardinal Blase J. Cupich of Chicago in a July 3 statement. Bishop-designates Bartosic and Casey will serve as episcopal vicars once successors are named at their present parish assignments. Bishop-designate Hicks will remain in his role as vicar general of the Archdiocese of Chicago. 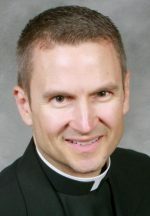 Bishop-designate Bartosic was born in Neenah, Wisconsin, in 1961 and was raised in Ohio. He received a bachelor’s degree in theater from Ashland University in Ashland, Ohio, and a master of divinity degree and a licentiate in sacred theology from the University of St. Mary of the Lake in Mundelein, Illinois. Like the other bishop-designates, he was ordained a priest for the Archdiocese of Chicago by Cardinal Joseph L. Bernardin in 1994. He served as associate pastor and then pastor at several Chicago parishes. 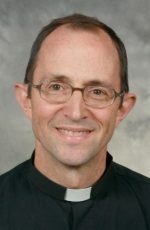 Since 2016, he has served as pastor of Assumption of the Blessed Virgin Mary in Chicago and director of the Kolbe House Jail Ministry. Bishop-designate Casey, born in 1967, was raised in a suburb of Chicago. He received a bachelor’s degree in English from Niles College of Loyola University Chicago and a master of divinity degree from the University of St. Mary of the Lake. Bishop-designate Hicks, born in 1967, also was raised in a Chicago suburb. He received his bachelor’s degree in philosophy from Niles College of Loyola University Chicago. Like the other bishop-designates, he received his master of divinity degree and his ministry doctorate from the University of St. Mary of the Lake. In 2005, with permission from Cardinal Francis E. George, he moved to El Salvador to begin his five-year term as regional director of Nuestros Pequenos Hermanos in Central America — a ministry dedicated to caring for more than 3,400 orphaned and abandoned children in Latin America and the Caribbean.